Tommy (second from left) with his family (from left) brother Tibor, cousin Sophia, sister Isabella, cousin Henry, cousin Francesca and aunt Rose. From the time Tommy Domotor was a baby, his parents knew there was something special about him. “His mom called him Angel Face because he was such a good baby,” said his aunt Rose Dobbins. Rose became the legal guardian for Tommy, who was 13 at the time, along with his siblings Tibor and Isabella, after their mother died from aplastic anemia in 2013. Their father had died unexpectedly from a brain aneurysm in 2008. 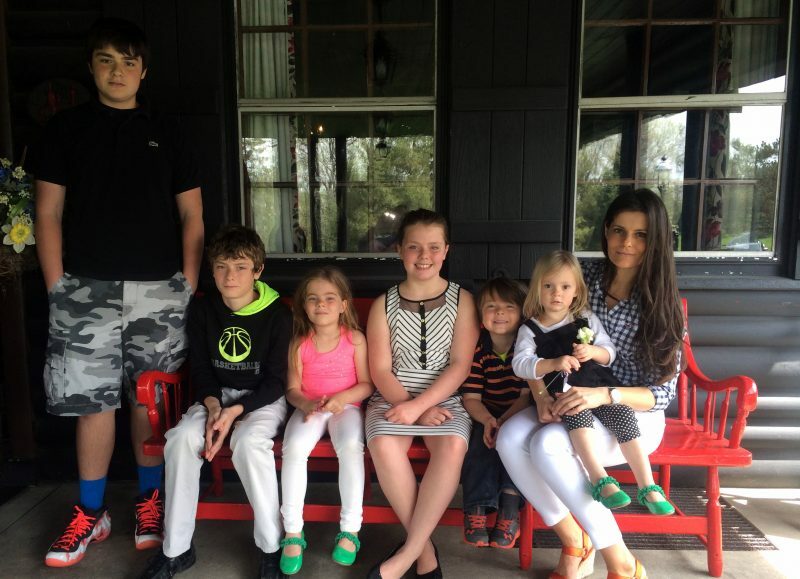 Rose, who has 3 children of her own, Sophia, Francesca and Henry, started a new life raising 6 kids. “Tommy was a little genius. He did so well in school and in every sport. He was good at everything he tried,” said Rose. One day after practicing football in hot weather, Tommy began vomiting. The coach assured Rose that other players vomited too, most likely because they were not drinking enough water. When the vomiting returned during basketball season and persisted for weeks, Rose knew something was wrong, although Tommy’s blood work and CT scans of the abdomen and intestines all were normal. 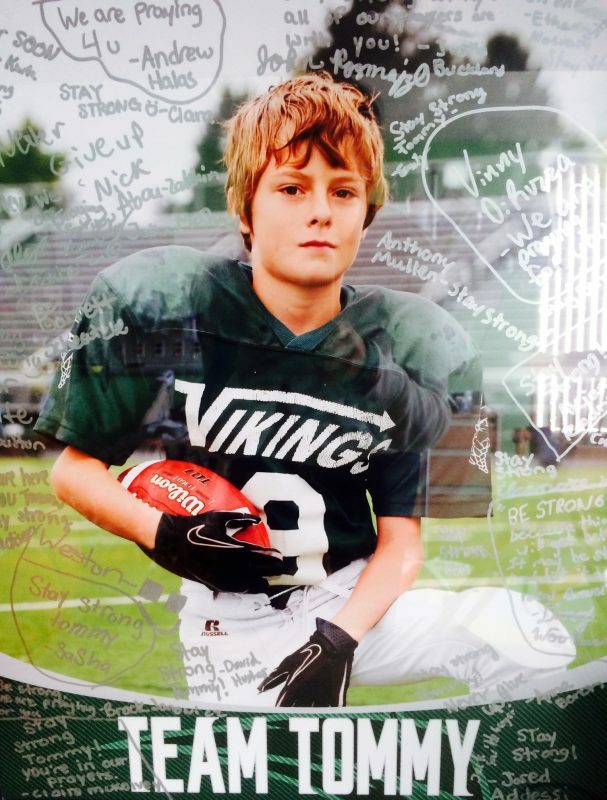 Pediatrician Richard Ball of Akron Children’s Hospital Pediatrics’ Green office suggested a CT scan of Tommy’s head, where they discovered a huge mass of tumors in his brain, brain stem and spine. An MRI and biopsies in January 2015 confirmed it was cancer. Although the prognosis was grim, Tommy knew he could beat it. When he lost the use of his right arm and right leg and all hope seemed lost, Rose brought Tommy home so he could spend his final days surrounded by family. But then the unthinkable happened. Tommy started to get better. Rose was determined to help Tommy make the most of whatever time he had left. They took a trip to Seabrook Island, SC, one of his favorite places. He was confirmed and graduated with his 8th grade class at St. Michael School in Canton. He started high school at Canton Central Catholic, where he attended homecoming. When he went back to Akron Children’s for a check-up, he proudly walked to the MRI without the use of a wheelchair. However, this time the news wasn’t good. The tumors had grown. “It was the first time Tommy cried,” said Rose. Sadly, Tommy succumbed to his brain cancer on Dec. 19, 2015. He was 15. 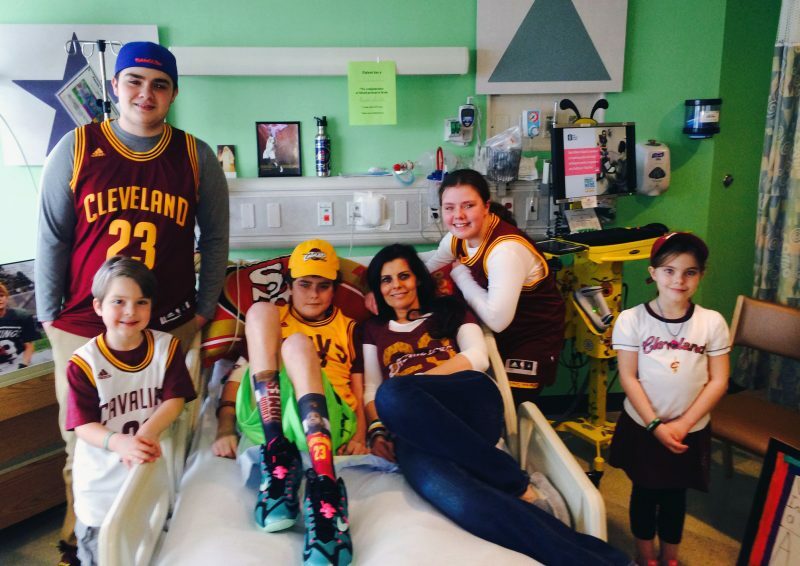 Through all the ups and downs, the good times and the bad, the team in the Haslinger Family Pediatric Palliative Care Center was there for Rose and the children. She’s also grateful for the supportive community at St. Michael. Tommy surrounded by his siblings, aunt and cousins while in the hospital. She also marveled at how the team in palliative care seemed to know instinctively what they needed, and despite it all, she saw Tommy smile and laugh more in the last year than she could remember. One day, hospital president Bill Considine stopped by to visit. His presence and concern also showed Rose they were in a very special place.